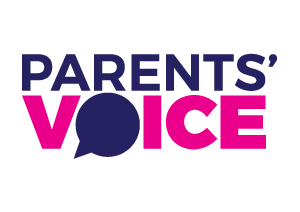 Parents’ Voice respects and upholds people’s privacy rights in the way we collect, use, disclose, hold and destroy personal information. Personal information includes any information where someone’s identity is apparent or can be reasonably ascertained from that information. Personal information includes sensitive information such as health information about an individual. The kinds of information we collect and hold may include a person’s name, gender, age, contact details and the details of their dealings with Parents’ Voice. This includes information we have collected over the telephone, via mail, personal contact or over the internet. Reasonable steps are taken to protect personal information from loss, misuse, improper disclosure or unauthorised destruction. We apply generally accepted standards of technology and operational security to keep personal information secure i.e. computer backups being taken at regular intervals, information stored in databases only being accessed by authorised Parents’ Voice staff, all hard copy data disposed of appropriately when no longer required, etc. In the public interest, e.g. to lessen or prevent a serious threat to public health or safety and it is unreasonable or impracticable to obtain the individual’s consent. The person has agreed to the use of their information for a purpose other than the primary purpose for which it was collected. From time to time, we may send out further information and promotional materials to individuals for the purposes of Parents’ Voice, e.g. information about events. This may only occur where the individual would reasonably expect Parents’ Voice to use their personal information (e.g. their contact details) for this purpose, or where the individual has consented to the use of their personal information for this purpose. Individuals are able to opt out of receiving further information from Parents’ Voice. 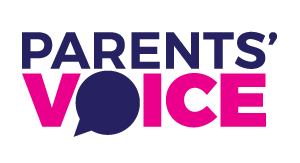 Any direct communication or promotional material sent to an individual will include an ability to opt out of receiving further information from Parents’ Voice. In the public interest, eg: to lessen or prevent a serious threat to public health and/or safety and it is unreasonable or impracticable to obtain the individual’s consent. Deidentified data may be used for research purposes. Like many organisations, we track usage patterns on our websites. Sometimes we need to store temporary information, which can personalise a website visit, using ‘cookies’. Cookies are simply an alternative for storing information used by webpage scripts in a computer’s browser rather than on a computer server. Cookies cannot gather any more information about an individual than what is already publicly available when the web is surfed or what an individual offers in a web form.  Parents’ Voice’s website contains links to other websites. We do not control, and are not responsible for, the content or privacy practices of those websites. The internet is inherently insecure and accordingly, we cannot provide any definite assurance regarding security or personal information. Parents’ Voice will not be liable in any way in relation to any breach of security or any unintended loss or disclosure of that information. Where denying access is required under law or a court/tribunal order. If an individual requests that we correct personal information we hold about them, unless there is a sound reason under the Privacy Act or other relevant law to not make the correction, we will take reasonable steps to make the correction to the information requested, to ensure that the information is accurate, up-to-date, complete, relevant and not misleading. If an individual requests access to, or correction of, personal information we hold about them, we will respond to their request within a reasonable time frame. If we refuse an individual’s request for access and correction, we will provide them with written notice setting out the reasons for the refusal, and how the individual may complain about the decision. If the individual does not wish to raise a complaint with Parents’ Voice directly, they should be directed to contact the Office of the Australian Information Commissioner.